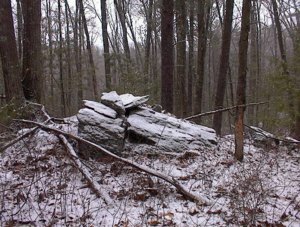 There is disagreement whether there was a tradition of rock and stone placement by Native Americans (First Nations) in the Northeastern United States or if there is a tradition of interpreting natural geologic or recent agricultural features as the work of pre-European inhabitants of North America. The facts are, indisputably, that there are many rockpiles from the Atlantic to the old colonial frontier and from Canada to the south which appear to be deliberate, systematic, and symbolic. Some thoughtful people find in them not only pattern but purpose as well. 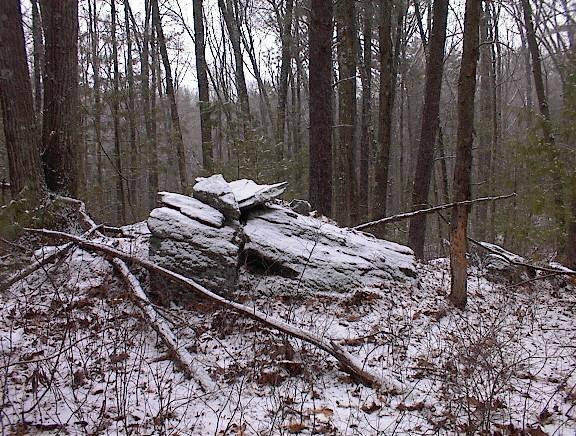 Diligent researchers such as Peter Waksman have documented their conclusions with extensive collections of photographs, measurements, and historical records from early explorers and settlers. 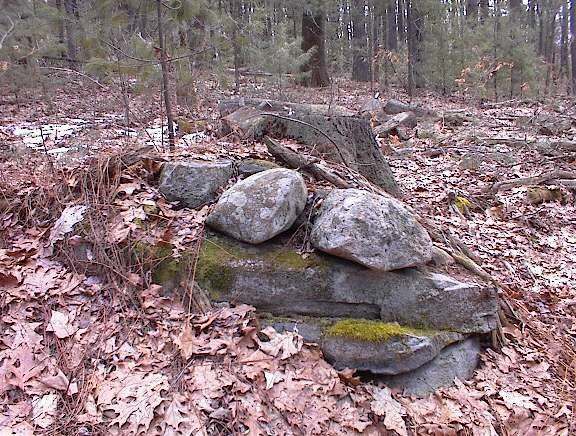 His Rock Piles blog includes his own discoveries and those of others, while his online book, Indian Ceremonial Rock Piles in Eastern Massachusetts, analyzes and categorizes the great variety of sites which he and others have identified. 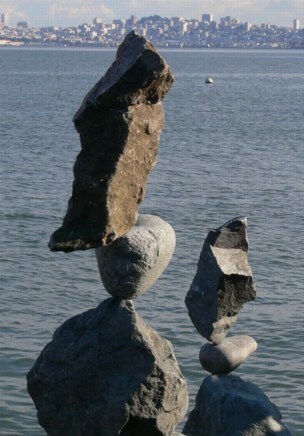 Some members of NEARA (North Eastern Antiquities Research Association) believe that seemingly natural "tipping" and "balancing" rocks and boulders (such as shown here) may also have been the result of deliberate traditional activities.